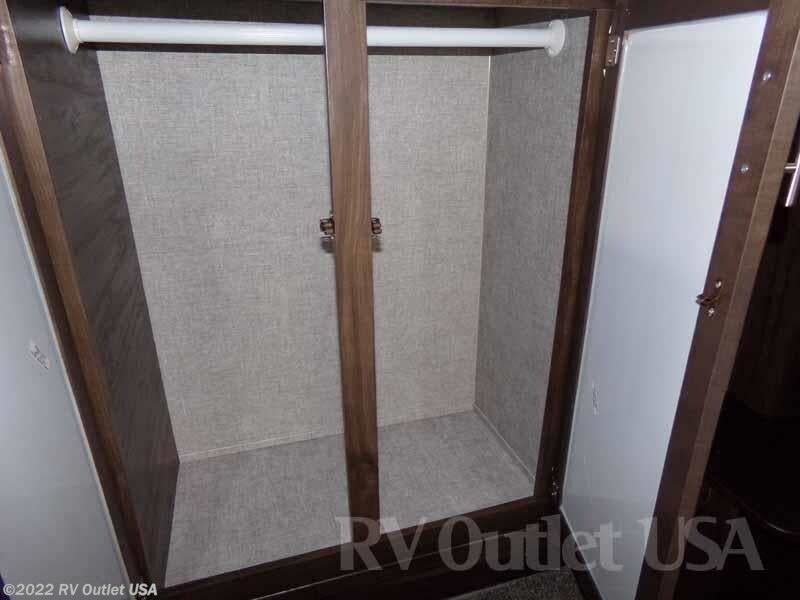 AUTO LEVELING SYSTEM ** HUGE PANTRY ** FOLD OUT STEP! 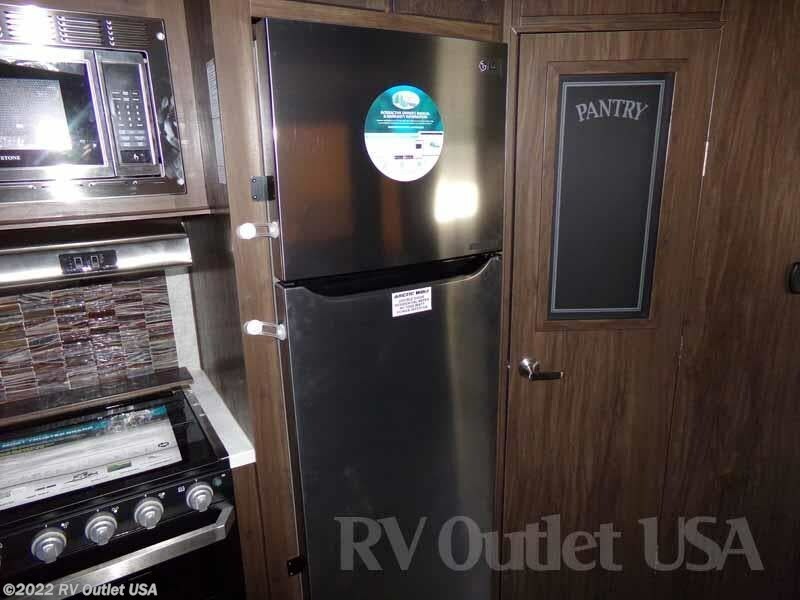 STAINLESS STEEL APPLIANCES ** TURNING POINT PIN BOX! 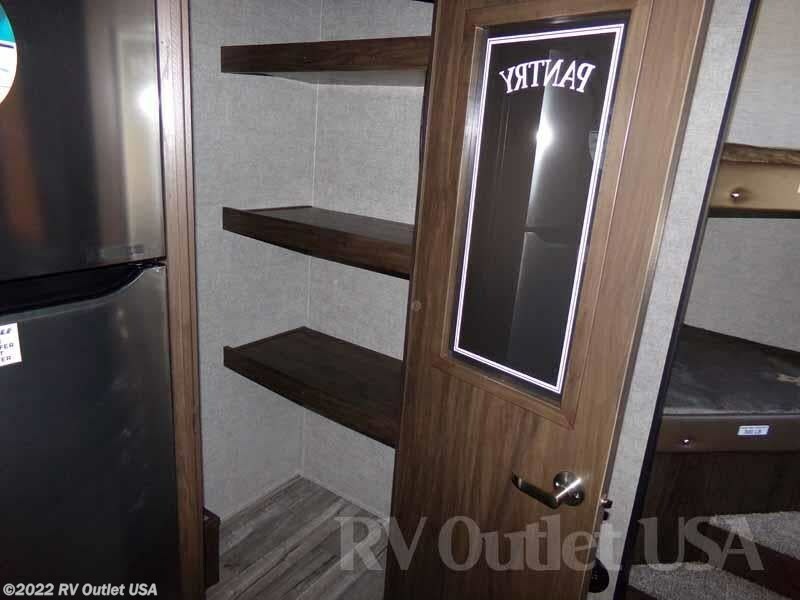 If you're in the market for alight weight bunk house 5th wheel that you can pull with most new 1/2 ton trucks, then look no further! 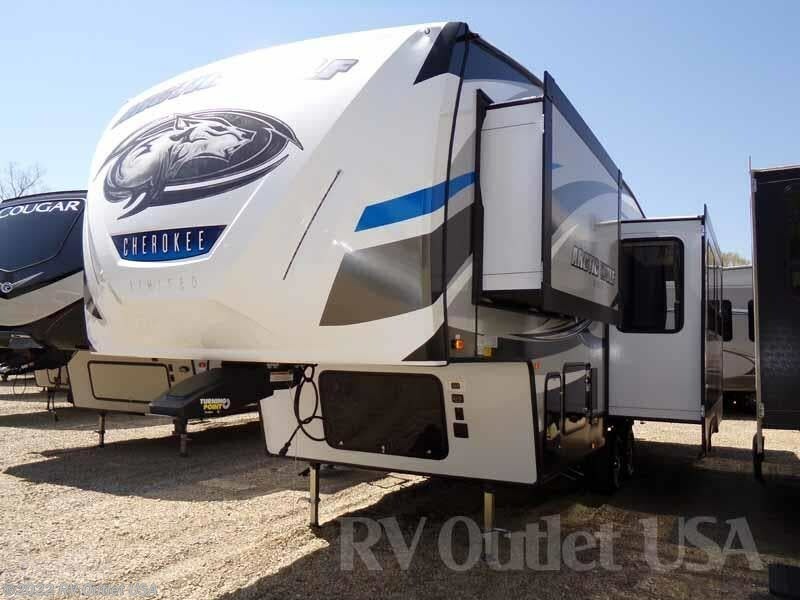 Introducing Forest River Arctic Wolfs 265DBH8! 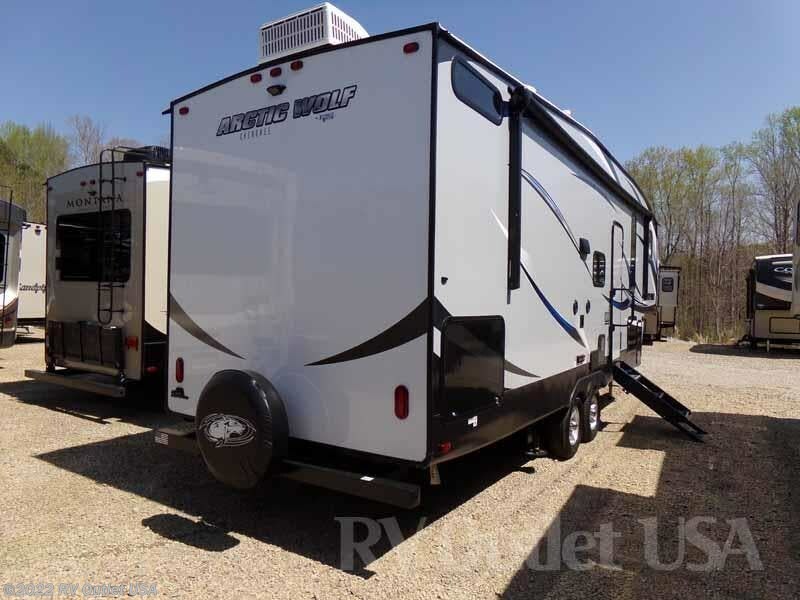 This 5th wheel has a lot of bang for the buck and they're well built! 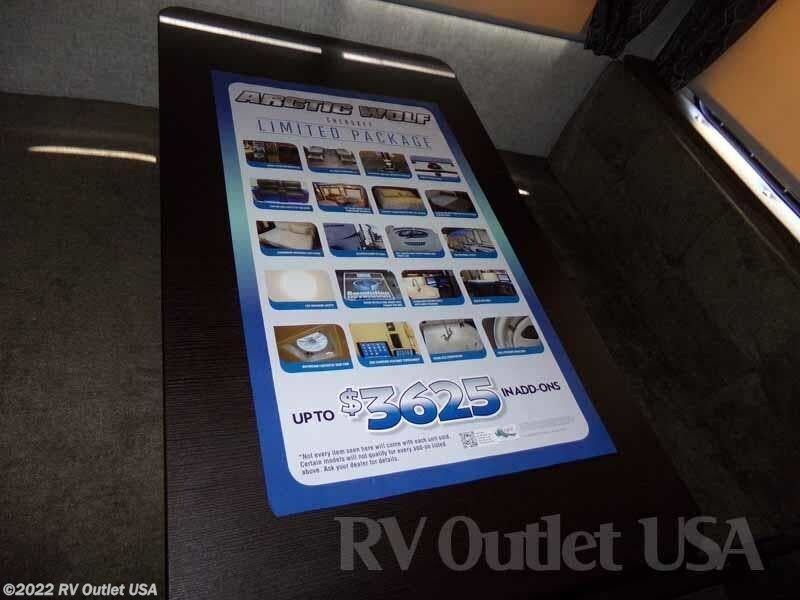 They have a TON of standard features, and are priced very competitively. 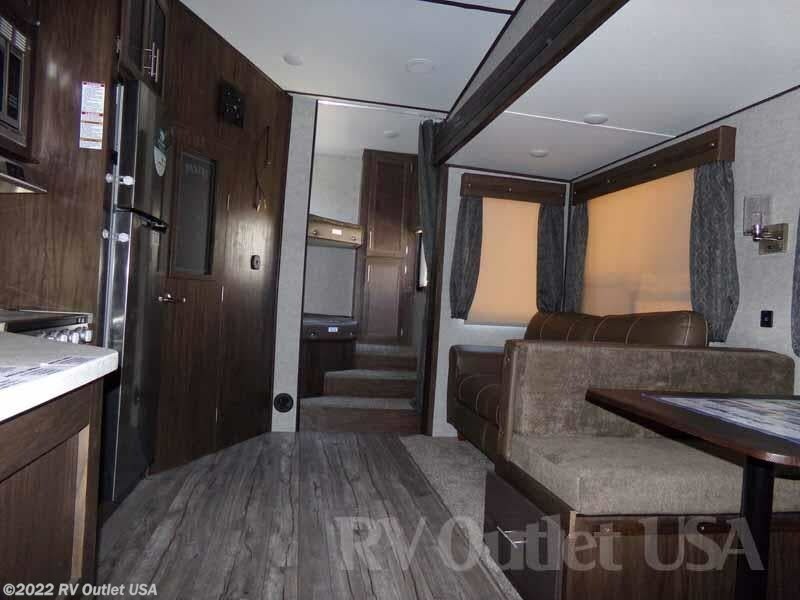 Some features include a comfort power bed lift system, 6'4" slide heights with panoramic windows, heated and enclosed underbelly's, black tank flush, a 15K BTU A/C in the main living area, 50amp service and the new 16" Alloy wheels in place of the older steel wheels! 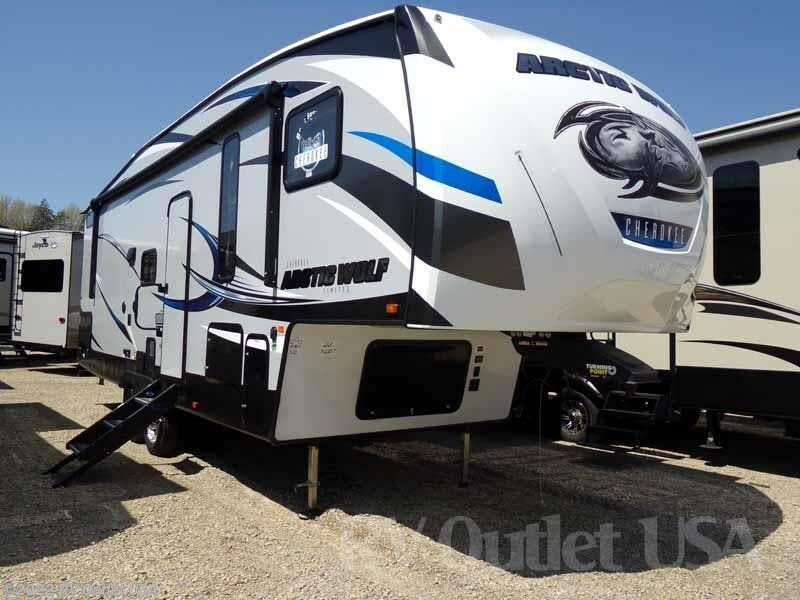 The 265DBH8 is 31' long, weighs only 8,284lbs which is perfect for any 3/4 ton truck and a lot of the newer 1/2 ton trucks! 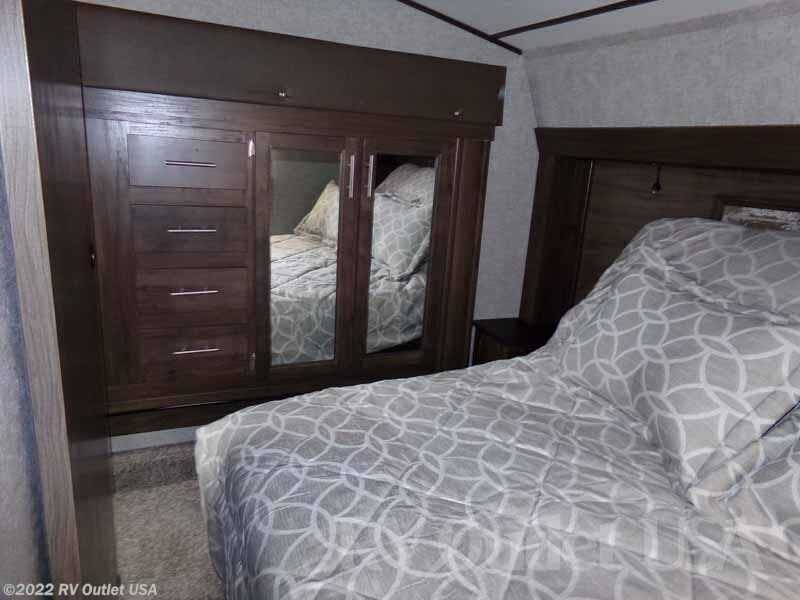 It has a walk around queen bed in the front with a power bed lift, it also has a large slide on the off door side with towards the front, a wardrobe and towards the rear, a linen closet. 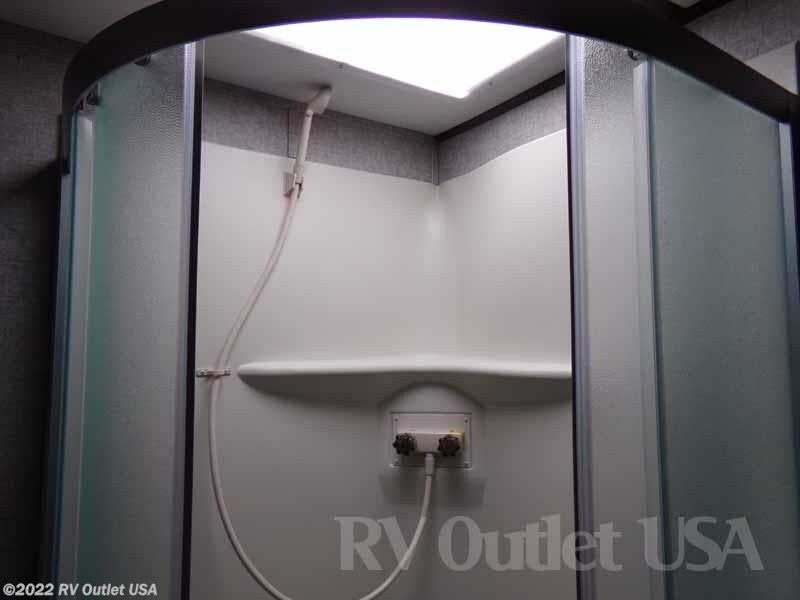 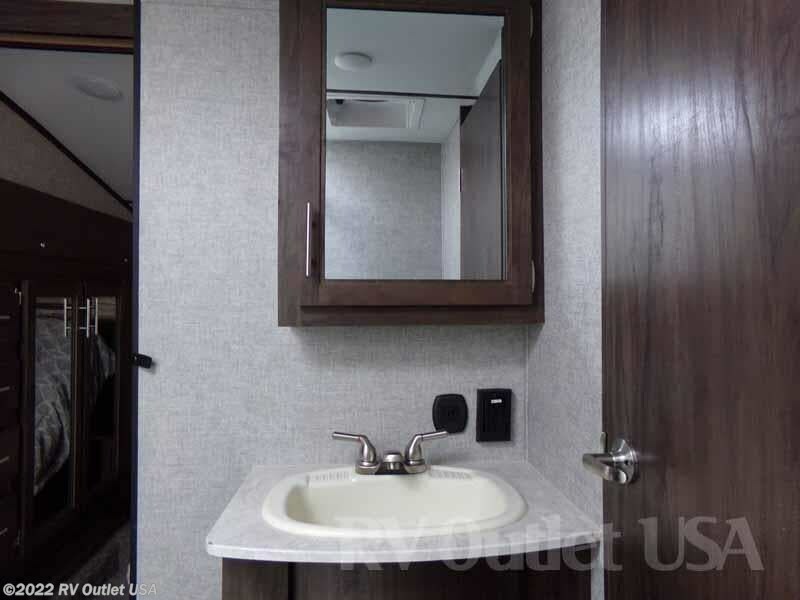 It does have a very private side aisle bathroom with a radius shower with glass enclosure, toilet, sink with underneath storage, and linen closet. 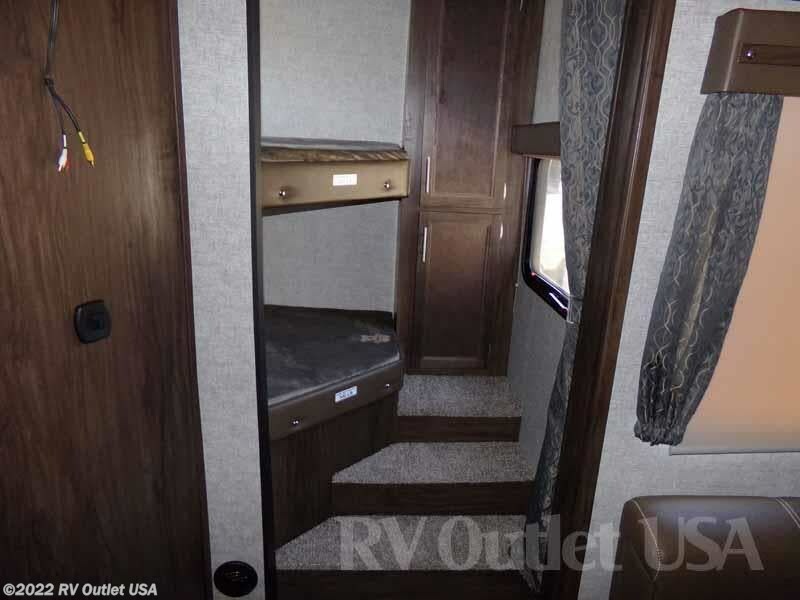 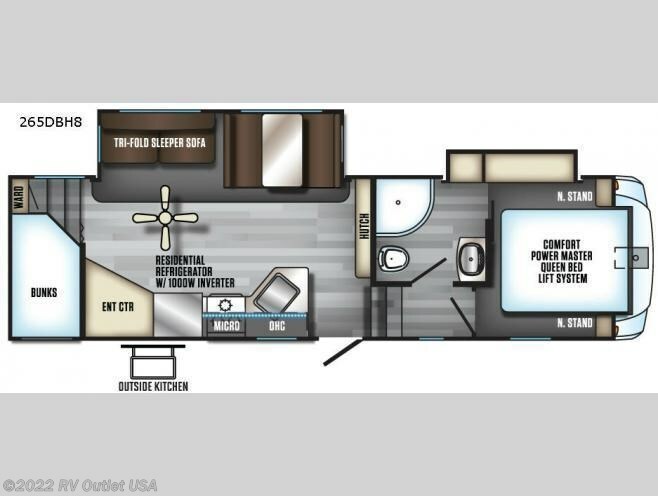 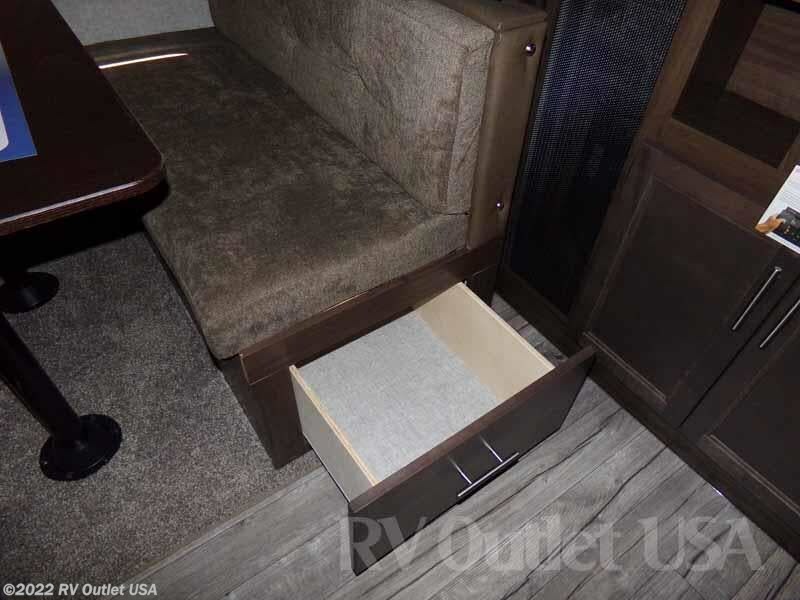 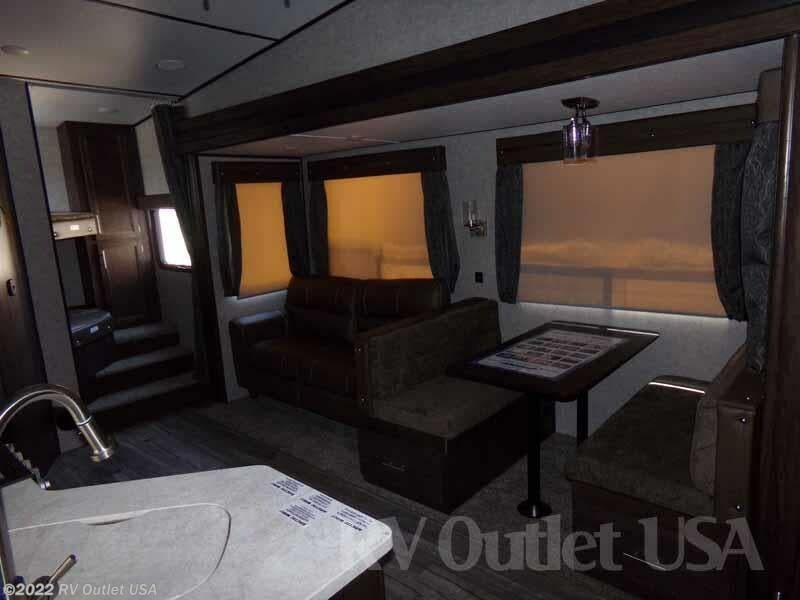 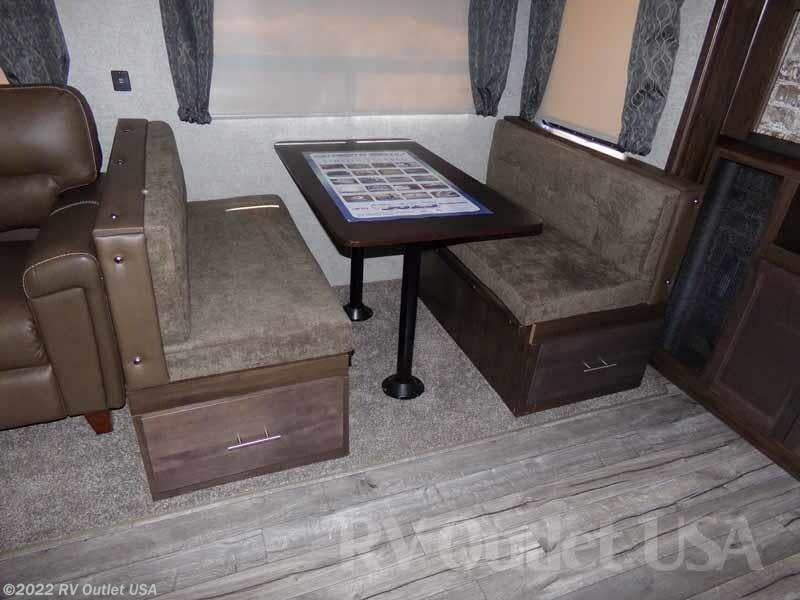 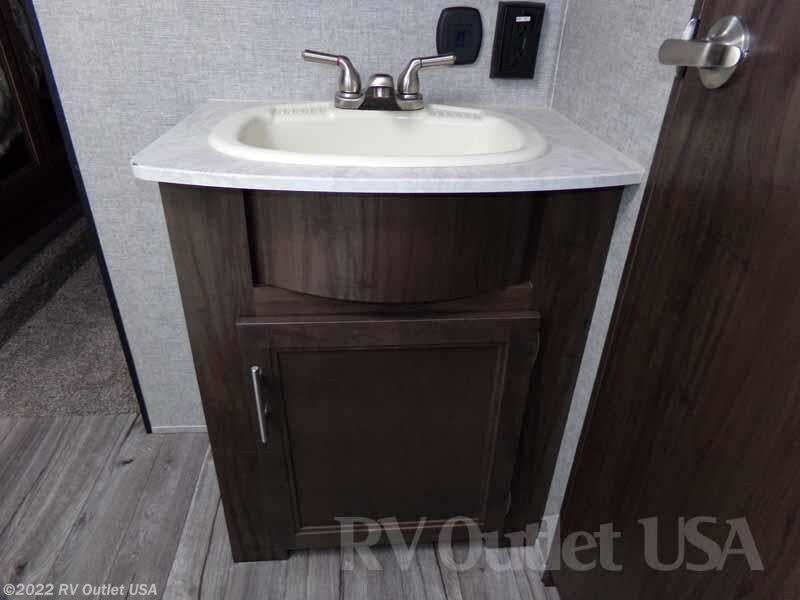 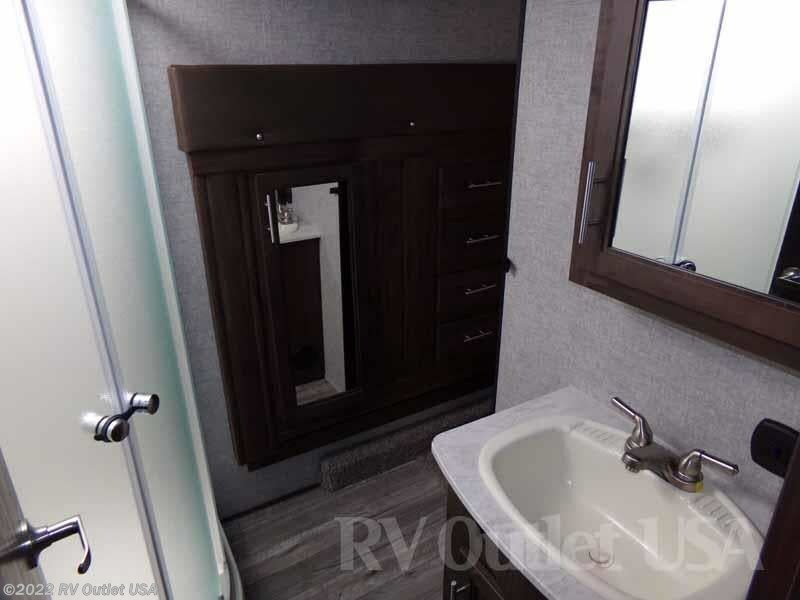 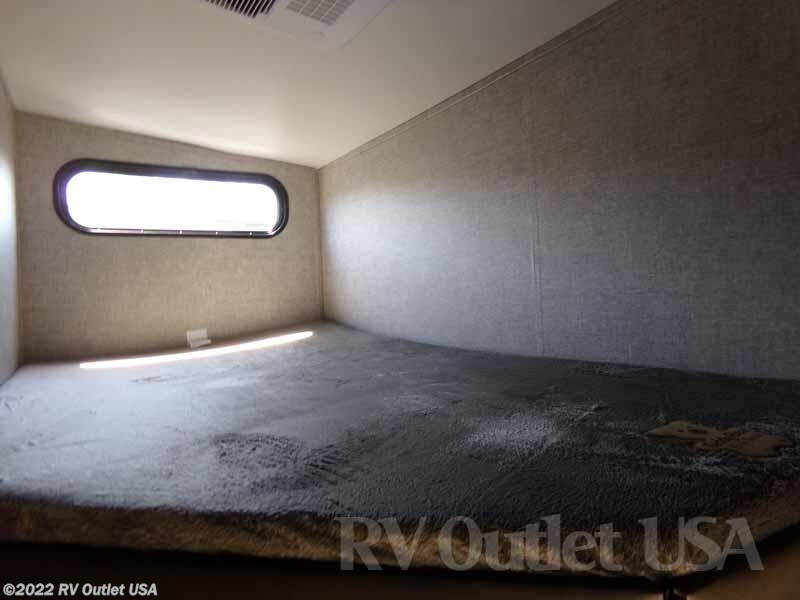 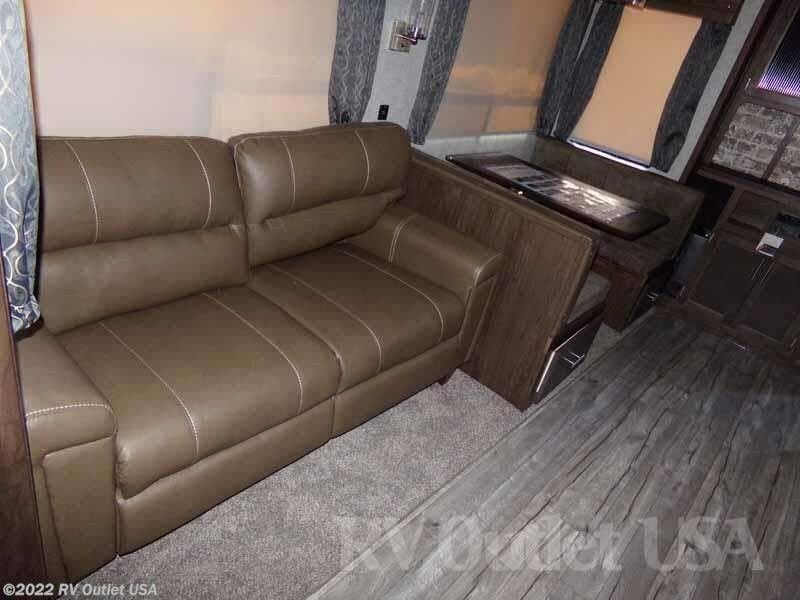 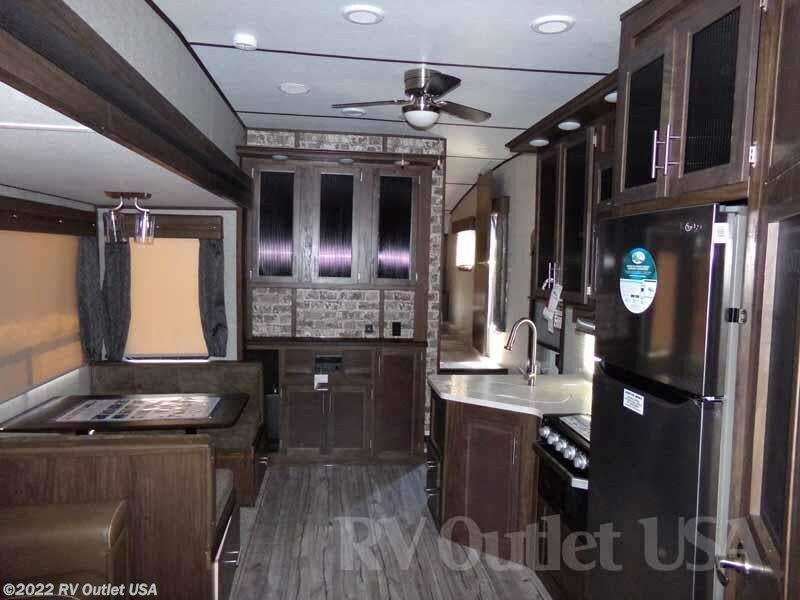 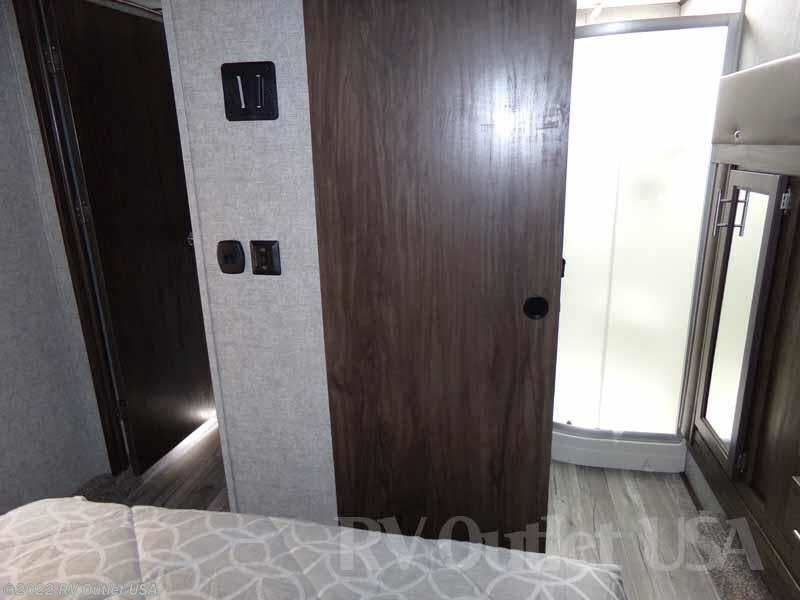 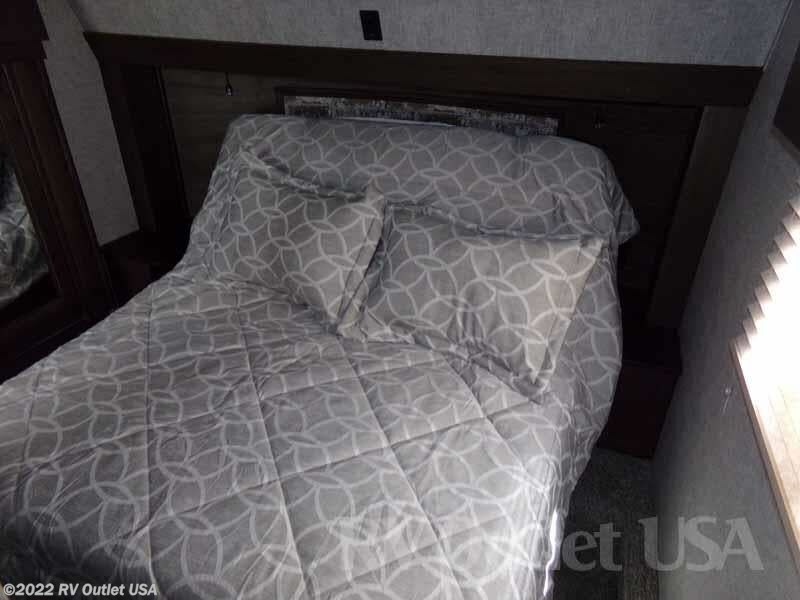 It has a super slide on the off door side with a Tri Fold hide-a-bed sleeper sofa and booth dinette which also converts into a bed which allows you to sleep up to (8) people in the 5th wheel. 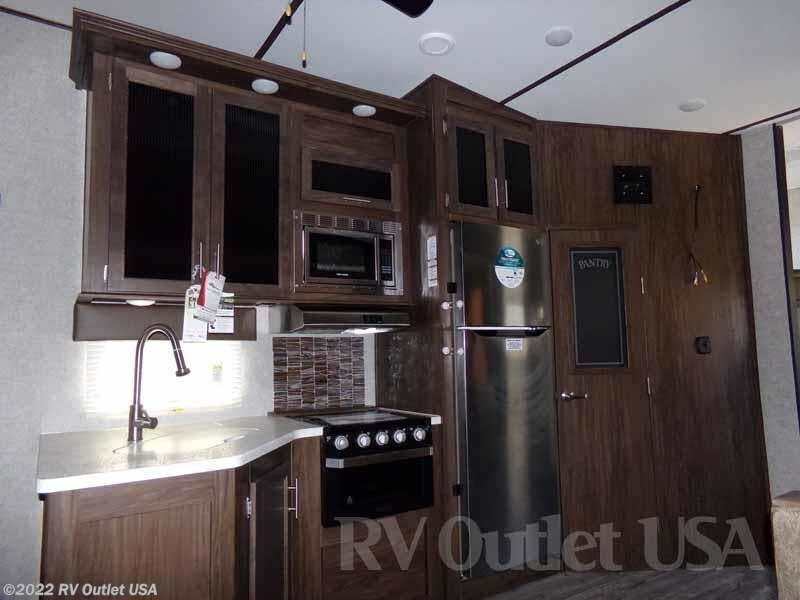 Across from the super slide is a full kitchen with a (3) burner cook top with glass cover, an oven, an over head microwave oven with exhaust hood, a huge walk in pantry, the 10.7 cu ft refrigerator, and all the appliances are stainless steel! 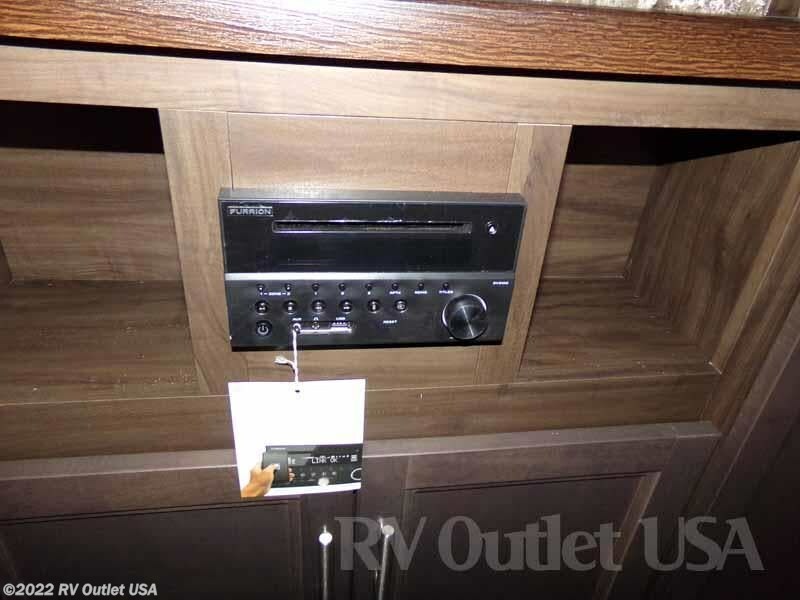 The entertainment center is located across from the sofa on the pantry wall and has an FM/CD/DVD player. 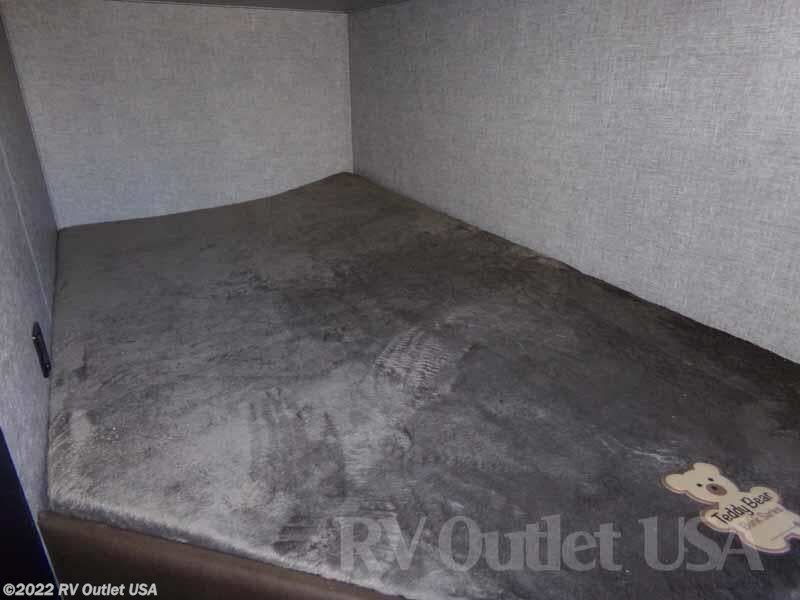 In the rear of the RV are a set of steps that lead to the (2) double size bunk beds! 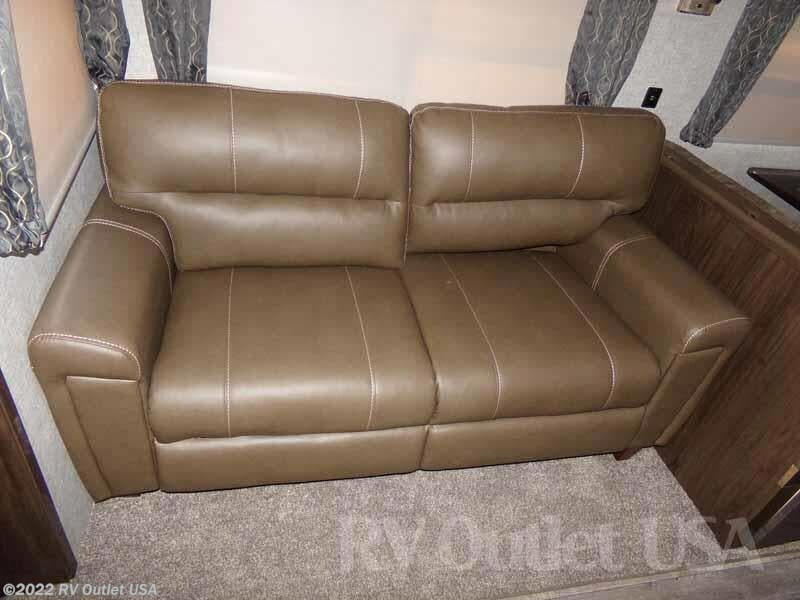 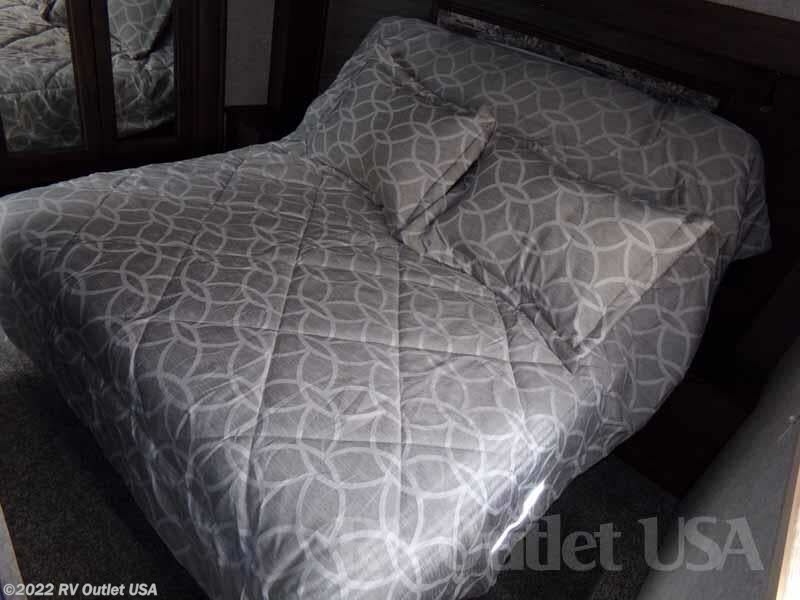 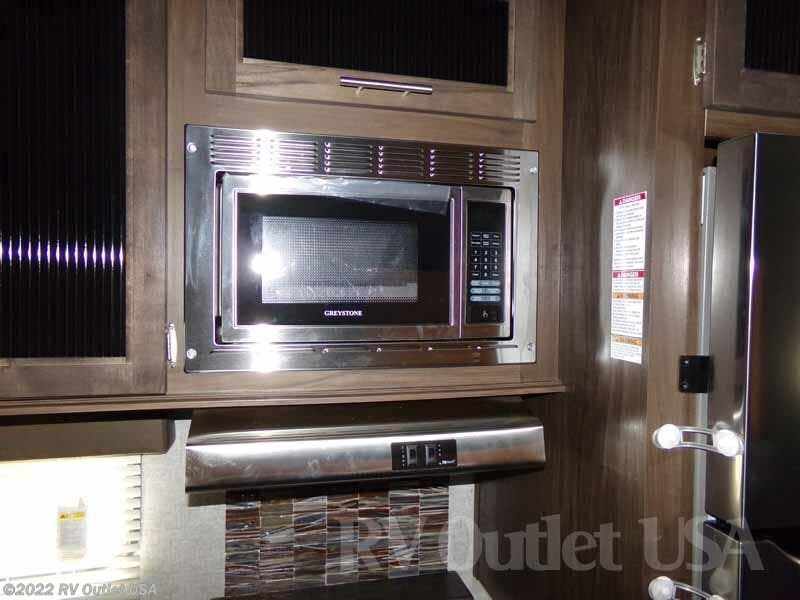 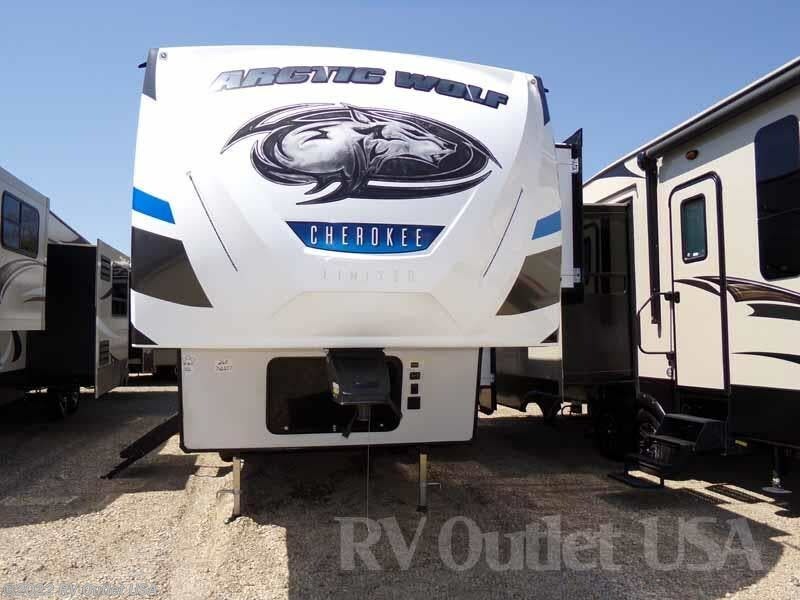 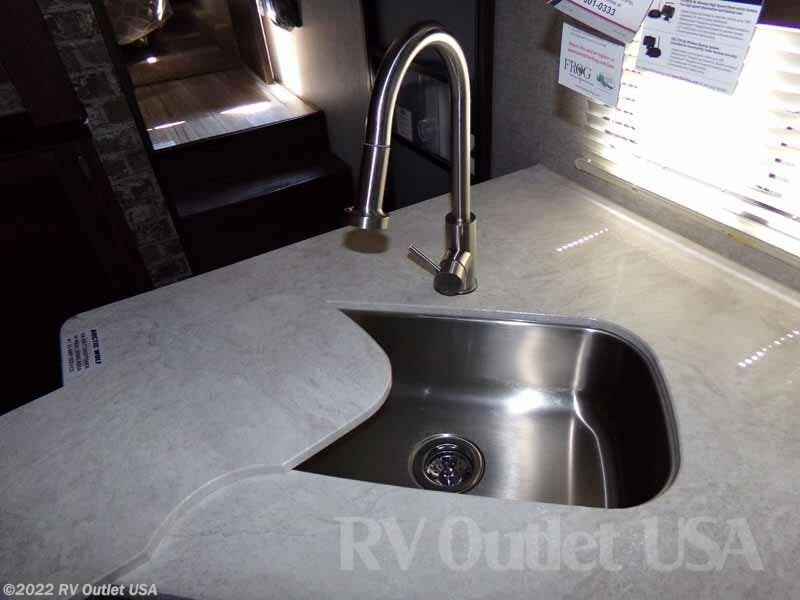 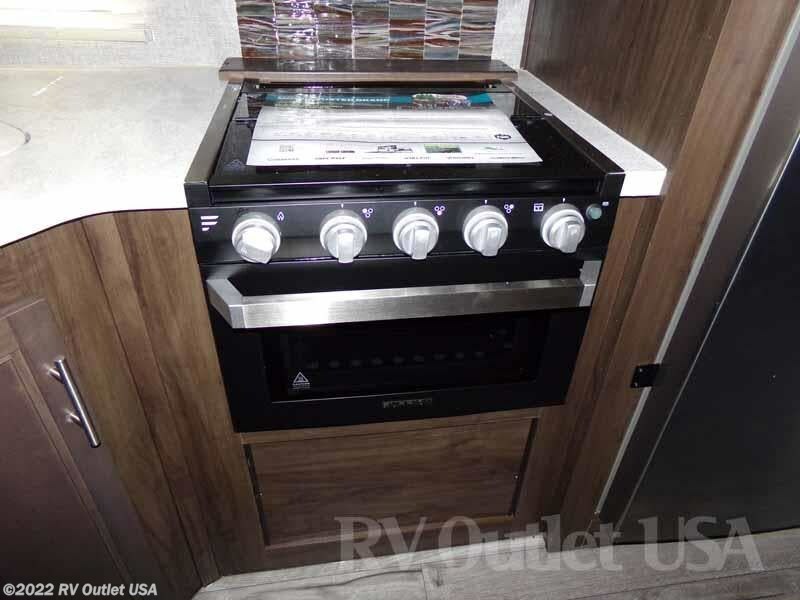 Again, the new Arctic Wolf products are very nice, and well built RV's! 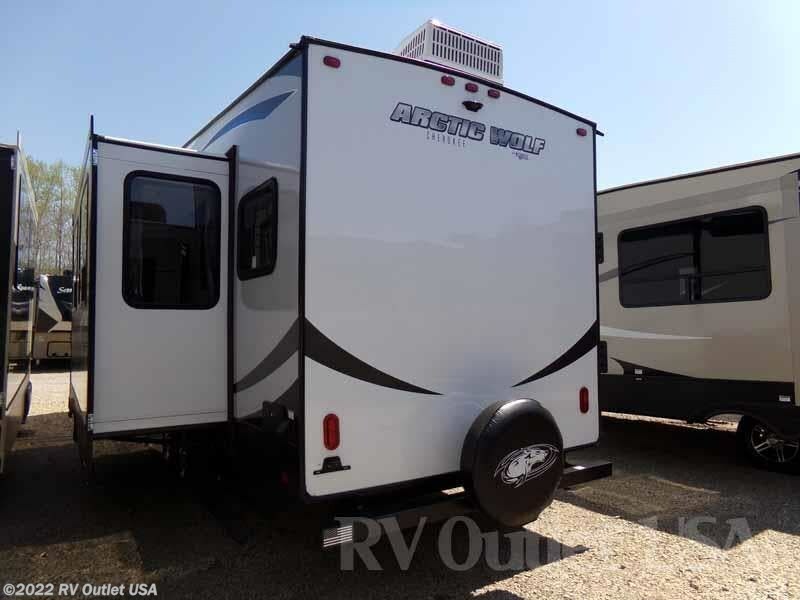 Here's a list of options that were ordered on this 2019 Arctic Wolf 265DBH8 5th wheel. 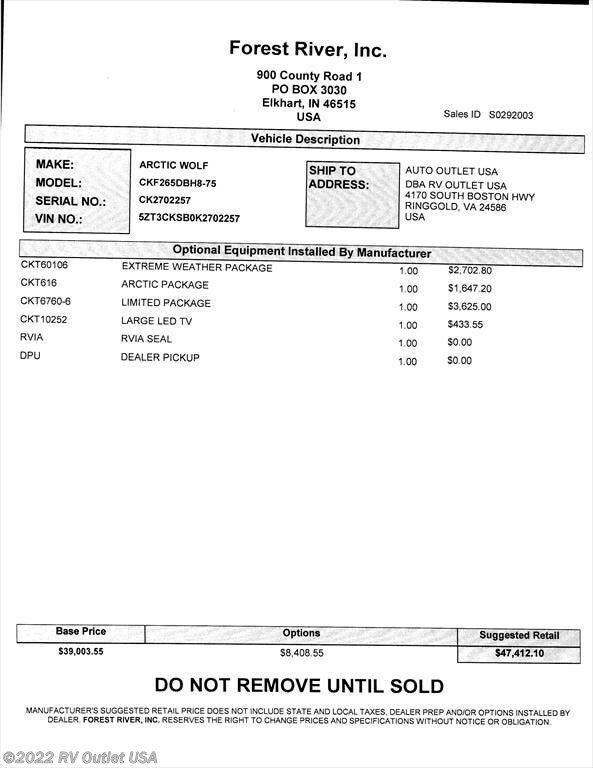 The interior color is Stone, it has the "Extreme Weather" package, the "Arctic" package, and the "Limited" package! 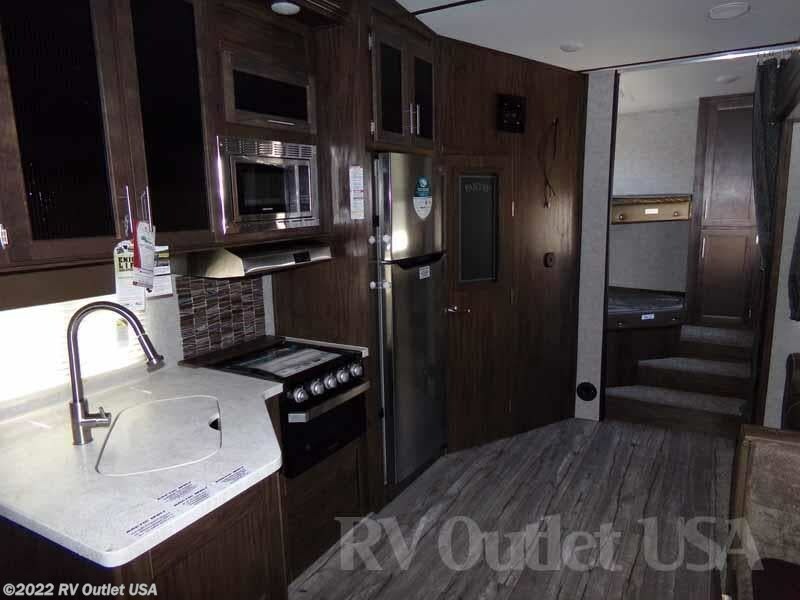 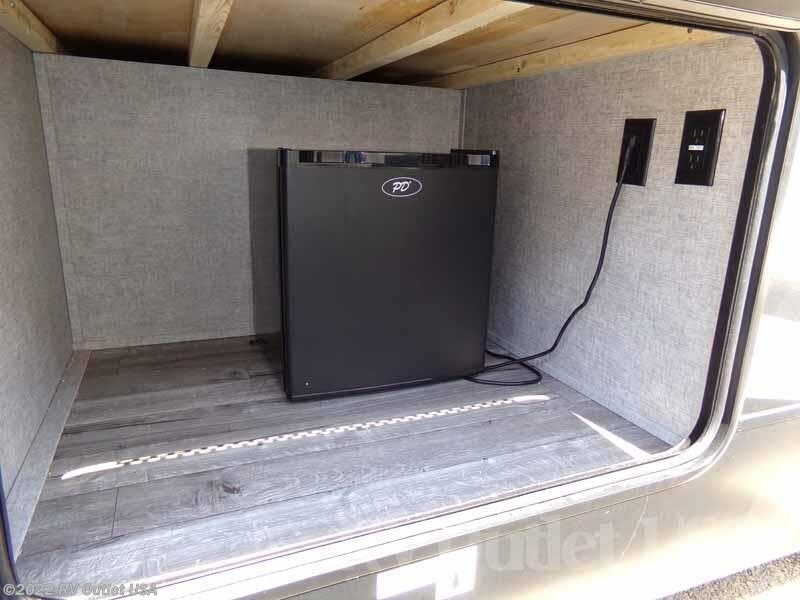 It has the automatic leveling system, a 15K BTU A/C, a Trail Air turning point pin box, stainless steel appliances, and the new fold out "Secure" step! 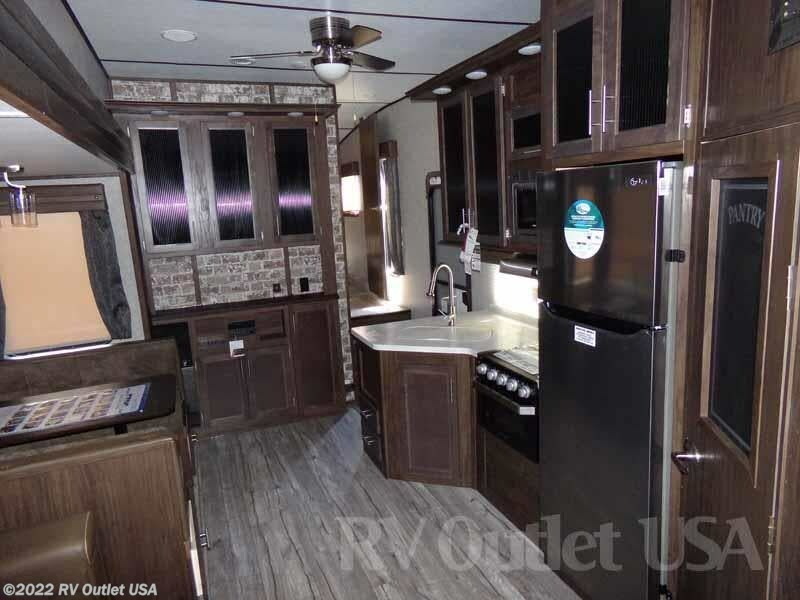 If you have any questions, please feel free to call us at 888-299-8565 and ask for sales, they'll be more than happy to help you. 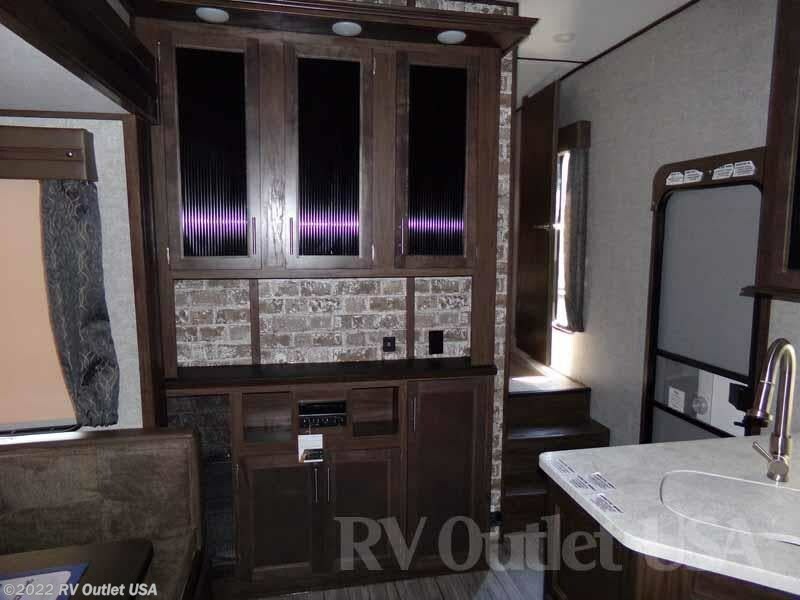 You can also visit our website at RV007(DOT)COM and please keep in mind, we have NO DOC, PREP, PDI, TRANSPORT or any other fees! 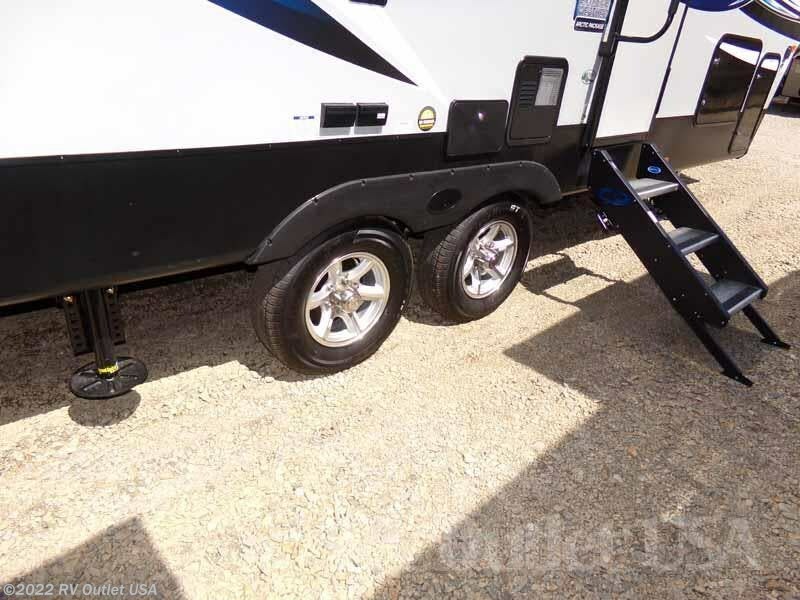 We also offer our customers huge discounts on 5th wheel hitches and installation, parts and accessories. 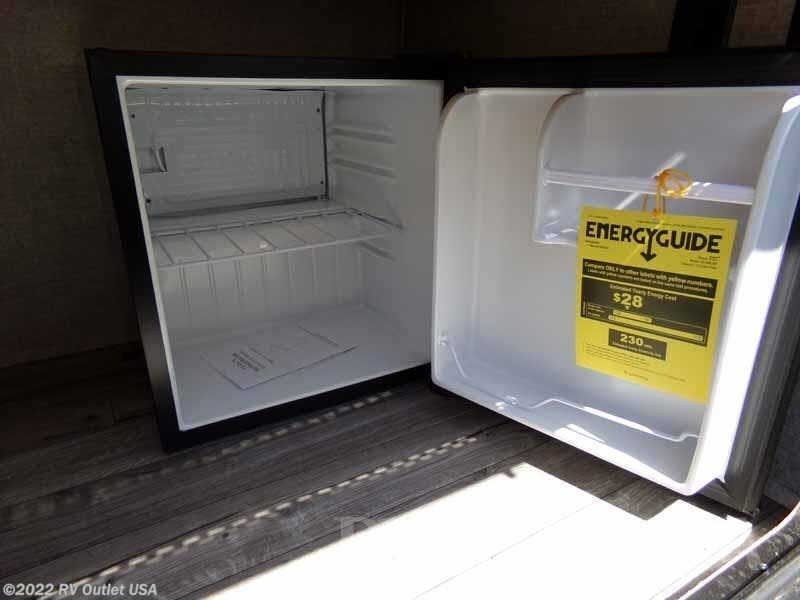 Give us a call, we will save you money!